We are experienced, reliable painters and decorators. We provide a comprehensive range of services for residential, commercial and industrial clients on old or new properties both small and large. 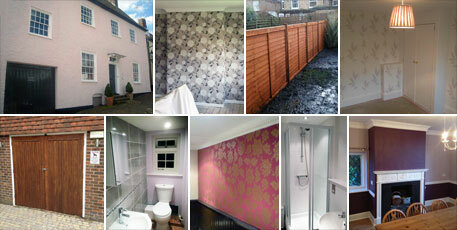 Goldline Decorating and Maintenance have extensive experience in the decorating industry. Having been in the industry for over 15 years we have undertaken jobs from simple domestic repaints to more elaborate exterior maintenance, and most things inbetween. We understand that your property is your castle, which is why we work with the least possible disturbance and disruption, keeping our workspace neat, tidy and clean after we have finished. We pride ourselves on our professionalism, and complete all work on time, on budget and to the highest standard.